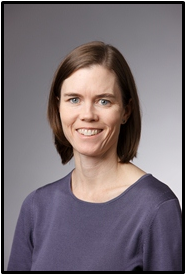 Site Principal Investigator – Erin LeBlanc, MD | Dr. LeBlanc is an Investigator with the Kaiser Permanente Center for Health Research. She focuses on conditions that affect women, including diabetes, vitamin D deficiency, obesity, osteoporosis, and menopause. Her current research includes a project testing the efficacy of two evidence-based weight-loss interventions for low-income Hispanic women to prevent diabetes risk; a randomized trial of a pre-pregnancy weight loss intervention; and the Study of Osteoporotic Fractures, a nearly 30-year-old study to examine relationships between aging and cognitive function, physical performance, bone mineral density, and body weight. She has conducted evidence reviews for the U.S. Preventive Services Task Force on screening for vitamin D deficiency and on screening for and treatment of overweight and obesity. An epidemiologist and board-certified adult endocrinologist, Dr. LeBlanc has more than a decade of clinical experience caring for patients with endocrinology issues, including vitamin D deficiency and diabetes. Site Coordinator – Suzanne Jones, RN, BSN | Suzanne is a nurse and Clinic Coordinator at the Kaiser Permanente Center for Health Research in Portland, OR. She loves working in clinical trials and has a background in oncology and diabetes management. Suzanne has also served as an IRB member for nearly 10 years. On her spare time she enjoys spending time with her family, listening to live music, and eating at the food carts and other awesome restaurants in Portland.